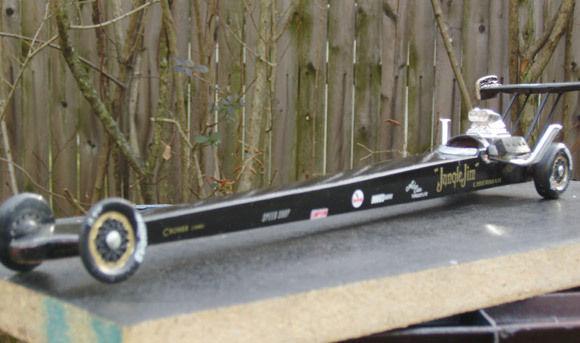 For those of you who may not have a Cub Scout in the family, March was pinewood derby month. This was the third of five derbies for us, and through it all I’ve gleaned a few tidbits of wisdom. If you give your Cub Scout his car kit expecting the pieces to remain intact until needed, you’re insane. In the history of the Derby I don’t think one boy has made it through without losing at least one part from his car kit. So be prepared. In our case, Spencer and David have lost the axles from their cars nearly every year – not sure why, it’s a mystery to me. In fact, it’s not a bad idea to buy a stockpile of extra kits knowing of the inevitability of lost parts. The hard thing about losing, say, an axle, is that I’ve never found the right sized nail to replace it. They’re irreplaceable. It’s all some Boy Scouts of America conspiracy that BSA only produces unique one-in-a-million nails for their car axles that, should they be lost, are gone forever.I know, I’ve tried.I’ve torn Lowe’s and Home Depot apart trying to find replacement nails and haven’t been successful yet – and that’s three years experience talking. Don’t assume that over-eager Cub Scouts have enough common sense to know that first you design the body then you put on the wheels. Or even that first you sculpt the body then you paint. You’ll need to explain all that – three or four times. Every year. That’s where those extra kits come in handy. Graphite. Graphite! GRAPHITE!!! If you don’t know what this stuff is, be assured that every other scout at the derby will. Google it. Now. 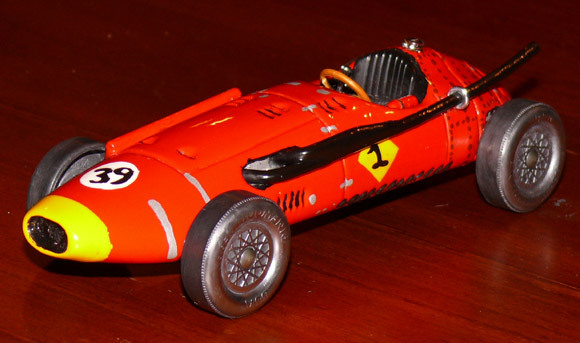 There will always be those scouts whose fathers, instead of using the standard-issue BSA-supplied car kits, will purchase the black market contraband pre-cut kits for their boys to paint, effectively blowing away all the handmade cars in the ‘Best Design’ category.This may seem like cheating. But don’t worry, that feeling will pass and you too will succumb and wish that you’d just bought Junior a Dragon Car kit. Especially when you’re combing the hobby stores hours before the derby for lead weights, decals, or nails to replace lost axles (see number 2). There will always be those scouts whose fathers did the entire project for them. This is fine – it’s part of the great Circle of Life and all that, as inevitable as death and lost axles – unless those cars happen to win, then it’s not fine and things get ugly. So accept it and get over it because the only thing worse than an angry Hockey Dad is an angry Derby Dad. Not pretty. If you don’t have woodworking tools, make friends fast with someone who does, as this will save you hours of frustration with a coping saw. Have you ever tried to cut a Corvette from a chunk of pine with a coping saw, and nothing but your knees to hold it steady? It’s Dante’s tenth circle of hell, I’m pretty sure. 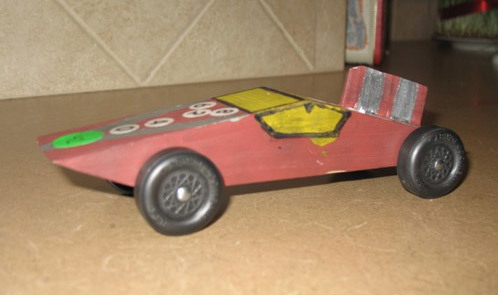 Be assured that whatever car design your Cub Scout chooses, the finished product will no more resemble it than a block of Swiss cheese resembles a Ferrari (the below-pictured ‘Raptor Rocket’ was the inspiration for more than one derby car, but somehow never really matched the finished results). But that’s okay, your son won’t notice; if you helped him he’ll think his car is cool anyway. But, as a side note, it’s amazing the design concepts you can come up with for a square block of wood. “How about we make your car into a box of cereal? A piece of bubble gum? A cinder block? Sponge Bob?” If the car can be made without a cut, there’s instant appeal. 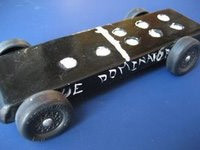 See the picture below of ‘The Dominator’ with a sleek and elegant domino design for an example. Body work isn’t everything, but friction is. If you aren’t an expert on sanding axles and wheels, lubricating, and weighting then maybe you ought to think about one of those pre-made kits and hope for the ‘Best Design’ award. The number one technique for getting through the derby is to suggest to your husband that his son should go to his engineer-uncle and grandpa for help with his car. 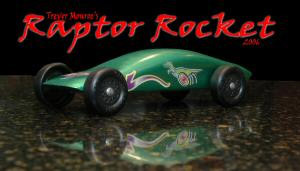 The mere hint to your husband that he isn’t able to produce a good derby car will arouse his competitive spirit enough to ensure the project will never fall on you. I made this mistake/stroke of genius the first year and was quickly rebuked and told that lawyers can produce darn fine derby cars, thank you very much, and don’t need no stinkin’ help from those engineers.It’s reverse psychology at its finest – you’ll thank me for it, I promise. This is the product of a man with too much time on his hands. It is constructed from two official Cub Scout PWD blocks making it 14 inches long. Add another inch for the swept rear wing and the car tops out at 15 inches long. The wheels and axles are also official BSA parts although extremely modified. The car weighs in at five ounces and was built mostly for show although it will run very fast. This year we decided to make copies of the three classic automobiles we own. 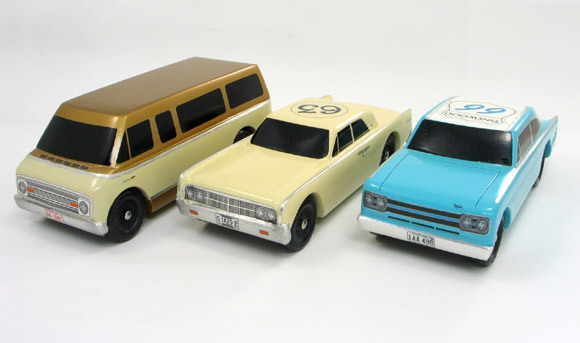 Noah built a 1966 AMC Marlin, I built a 1963 Lincoln Continental and Diane built a 1974 Dodge Sportsman van. There was trouble getting the van to the 5oz. weight limit so it never did race – lesson to self, if you are trying to make a vehicle this big you should use balsa. In the race, the cars ran well. Noah’s car placed second in the Bears and my car placed 1st in the parent-sibling race. My son, who is a Tiger Cub (7 years old), and I have watched racing together since he was born. This was his first derby. We were watching the Speed Channel before we started the car, and saw a show on the 1957 Masarati 250F. We decided right then, that was the car. Since it had been 32 years since I competed, I wasn’t sure what the competition was going to be like. So we decided to make “Best of Show” our goal, and make learning what the competition was like to improve the next year the second goal. In the end, he won “Best of Show”, and was in the top sixteen for speed! The car has four coats of sanding filler, and four coats of base coat (Italian Red). All of the details were then painted on. Finally, three coats of Gloss Clear coat were applied. We hand made the exhaust and headers out of 1/8 inch steel rod, and buried all of the weight into the car. My son and I put tons of hours into the car; he and I worked together on all the building. As a result, he won “Best of Show”. Last year was our first ever Pinewood Derby. As a Tiger Scout my son had no idea what it was all about so he did not show much interest in building a car. I just wanted a car that would not end up in last place. We first looked on the Internet for a simple design that would be easy to make. My son helped draw it out and we worked together as I showed him how to measure and make straight lines. After cutting it out he helped briefly with sanding till he got bored (around 10 seconds). My son did all the painting as we used house paint for the body. He wanted to make some cool colored wheels so we found some model paint and he proceeded to paint the wheels and axles. After it was all dry the car would not move. So we got some new wheels and axles. He used every number sticker that came in the kit – boy he was so proud of himself. He won the “Best use of Numbers” award. The funniest part occurred at race day. After being allowed to graphite up one more time the scouts entered one at a time with certificates and cars. My son came in looking like a raccoon as he had wiped his face with hands covered in graphite. Okay, so Dad put a bit too much graphite on the car. My son really enjoyed cheering for all the other Tiger Cub’s cars and munching on the snacks. I was happy as he took 18 out of 48 (he likes to win so he was a bit sad when he did not make the finals). So this year he put his sites on winning; I talked him into just shooting for a top-10 finish. Our local rules allow us to lengthen the wheelbase, so I’ve done that. In your literature, the best COG position is 3/4 to 1 inche in front of the rear axle. Does this position move with the new axle placement or is that number relative to the original cuts in the bottom of the block? The optimal COG position is always relative to the rear axle position. This is one advantage of an extended wheelbase car; the COG can be moved further back on the car. My son is using designer stick-on weights on his pinewood derby car, but he also wants to use a custom body skin instead of paint. Will the weights adhere to the body skin? Can he apply body skin to the weights? Thanks for your help. I have not tried sticking the weights directly to the skin, but it probably would work. But I don’t recommend putting the body skin over the weights; the skin would likely tear on the sharp corners. Do you have to paint the car before you wrap the car with a body skin? It is best to put on a primer coat first, but it is not necessary. You can wrap the bare wood, but be careful to not get the bare wood too wet as it can affect the axle slots (or axles holes).